Shying is the nature of humans, intellectual animals, and many birds. But, have you ever heard a plant getting shy! It must be a new and confusing thing for you all. You must have heard about chui mui plant. It’s a plant which shrinks just by the touch or indication of your hand. Many of us find it interesting one, but only a few of us knows that this can even be so beneficial for health. 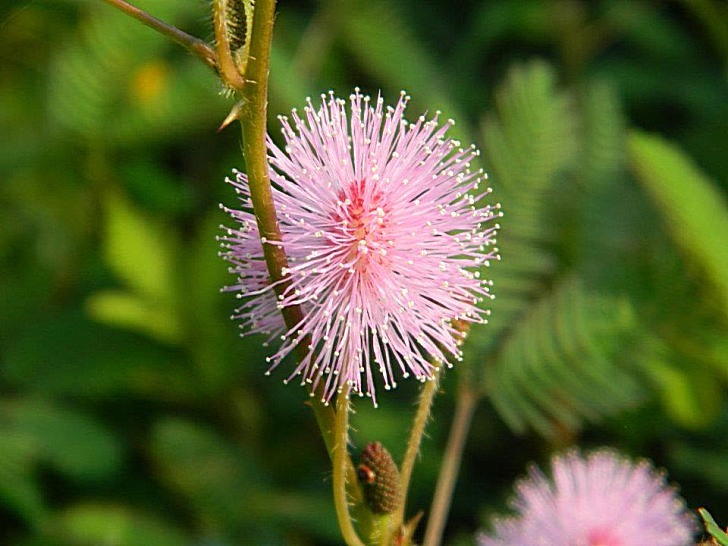 Here, we will be talking about 12 health benefits of the Sensitive plant. How does the Sensitive plant look like? 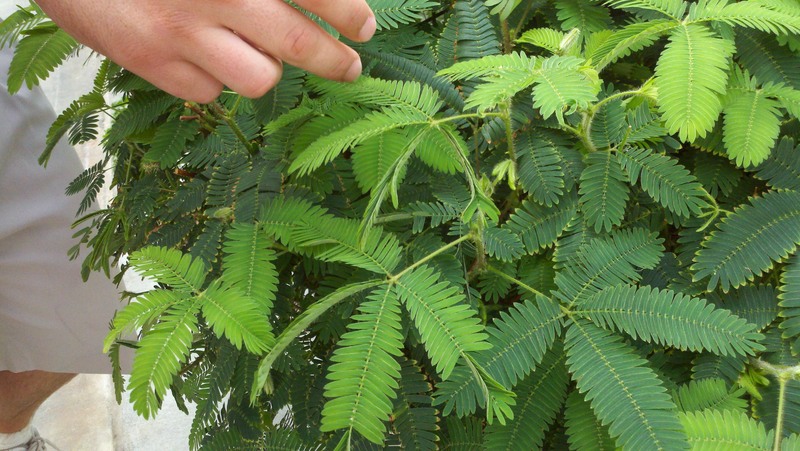 Sensitive plant is a herb which spreads either on the ground or about few inches above it is placed. It is the thorny plant which bears dark green colored leaves which have two sides and the leaflets have twenty pairs of them. The stem is erect and it grows up to 2-4 ft in heights. The leaf part looks similar to the tamarind one, It also bears pink-purple flowers in bunches. The flower comes in the rainy season and bears fruits in winter. Where is the Sensitive plant found? This small spreading Chui mui plant is found in warm regions all over India. There are many species of this plant.It is the native plant to Central America and South America. It also grows in Florida, Hawali, Georgia, East Asia, Nigeria and many more places too. Now, guys, we will move to our concerned point which is ‘Health benefits’. Now you are going to get amazed as many of us are still unaware of its miraculous curative actions. We are sure, you will even feel relaxed as it is not so costly, but works like a miracle itself. Make the powder of its leaves and give 1 teaspoon of powder with milk twice or thrice a day. Or, give 1 teaspoon powder of its roots and leaves with milk thrice a day. It has a miracle cure for a cough. Take its root and tie it on the neck. It has a very positive effect on cold and cough types of problems. Give 3 gm powder of its root with curd. It gives an immediate relief in Bleeding diarrhoea. Or, prepare the decoction of its roots in a glass of water until it remains 1/4th. Grind its root along with the root of Winter cherry. Apply the paste to the loosened breasts. In few uses only, it makes your breasts strong, stiff and healthy. Extract the juice from its leaves. Give this juice to the patient regularly. Within 7 days, it will cure the fever and within 2 weeks it will cure Jaundice types of problems. Make the decoction of its roots. Give 100 ml of this decoction to the patient regularly. It will balance the sugar level in the body. Give 40 mg of the juice regularly. Make a thick decoction of its roots. Give this decoction to the patients thrice a day. It dissolves the stones which get released through the urine. Apply the paste of its leaves on the lower abdominal area. It is a good cure for excessive urination. In case of Indigestion or acidity, give 30 mg juice of its leaves. It works as a natural antacid and cures the disorder. So, in this way, we saw how this small herb can be so useful. The herb which gets shy just by human touch can be so helpful in human diseases. This is called the magic of nature. So, go green and live well! Thank you for your feedback. If you like please share to your contacts. Thank you Inderjeet. Keep reading. It encourages our team to write more such articles. My Child is 5 year and his suffring Form Cough for last 5 Days…. but his not improvement So plz do not Forward the Rumer…. It is very sad to hear about your child. If if is not improving with the chui mui root, then there must be some other factors related. The leaves of chui mui has expectorant qualities treating asthma and cough related problems. The decoction of the leaves of an infusion prepared with it, will be helpful cure. Good work, we have this plant in our office backyard and didn’t knew all these benefits ! thanks a lot! Thank you for the comment. Try using these herbal things, which are free of cost and promotes health without any side-effects. I am diabetic from 2001. I have take medicine for diabetes. what I do to control diabetes? Thank you for this write-up. Where can i buy the powder?